Preventing veterans from committing suicide was named the “highest clinical priority” by the Veterans Administration, yet VA officials still failed to spend the $17.7 million in the suicide prevention budget for fiscal year 2018, according to a story in Time Magazine. A report published in November 2018 by the U.S. Government Accountability Office (GAO) found that the Veterans Health Administration’s (VHA) “suicide prevention media outreach activities declined in recent years due to leadership turnover and reorganization.” The Time article reported that the VHA had not aired a suicide prevention PSA on television or the radio in more than a year. Why did the GAO conduct their study? The GAO study reports that veterans have a disproportionately higher rate of suicide than the civilian population. The Veterans Administration estimates that an average of 20 veterans die by suicide each day in the United States. A 2018 report by the Department of Defense (DOD), which analyzed the number of incidents state-by-state, found that an average of 16.8 veterans and 3.8 active duty service members, guardsmen, and reservists commit suicide every day. The VA’s collective suicide prevention outreach activities, according to the GAO report, helps raise awareness about the suicide prevention resources available. The report reveals that the VHA was not maximizing its reach to veterans who are at risk. What is the veteran suicide rate in South Carolina? What is Veterans Health Administration doing to improve suicide prevention outreach? Additionally, the VA outlined further efforts which included expanding the veterans’ crisis hotline, launching online-based suicide prevention training to help people recognize suicide risk factors and warning signs, and the #BeThere prevention initiative, which teaches members of the community how simple acts can help veterans in crisis. A complete list is available in the appendix of the GAO report. The Veterans Health Administration allowed their vital suicide prevention program to lapse, and our veterans are suffering as a result. 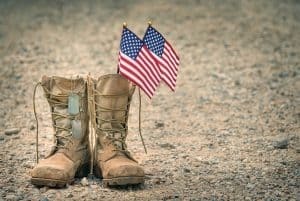 At McGowan, Hood & Felder, LLC, we represent veterans and their families who have been denied the services they need, and who have been victims of medical negligence. We will always fight to protect the men and women who keep our country safe. If you or someone you care about was injured because of the negligence of a doctor or VA hospital, the medical malpractice lawyers at McGowan, Hood & Felder, LLC are here to help. It’s vital that you have experienced representation on your side. Call us today at 888.302.7546 or complete our contact form.